Susan Payton posted an excellent primer on Mashable about how to be an industry expert in your business or profession. It doesn’t matter what the field; you can succeed if you do the homework. From the New York Times, Dutch bank and insurance company, ING, is breaking up. The Dutch financial services company, said Monday that it planned to break up its insurance and banking businesses and raise up to 7.5 billion euros, or $11.3 billion, in a stock issue, after reaching a deal with the government to repay ahead of schedule half the money it received in a bailout last year. As part of the deal with the European Commission, ING agreed to sell its U.S. Internet banking arm, ING Direct, by 2013. The company anticipates that it will take several years to get out of the business, but said that it regards the operation as “a very strong franchise” and the U.S. market offers potential for growth. Personally, I am a INGDirect customer for more than five years. I love their products, and recommend to anyone I know who is fed up with their current bank. I hope Ally would consider buying ING Direct which would be a nice complement to their high yield online savings accounts and CDs. Last week after Finovate, I met with BillShrink’s Director of Marketing, Jenny Michalski to talk about BillShrink. We talked about how BillShrink may make consumers more brand agnostic especially when it comes to mobile phone service. However, people will tend to hold on to their American Express card even if there credit cards with better interest rates and perks. BillShrink provides you with valuable customized information on how to save money on mobile phone plans, credit cards and gasoline prices. Now, BillShrink has just added a new feature where you can compare saving accounts and CD interest rates. With its new tool, the company said company said will analyze interest rates from more than 60 banks to help find the best one. Billeo is a site that makes it easy for you to pay bills and manage online passwords. At Finovate, Billeo.com announced their offer assistant which is a tool that shows what retailers have offers. This is similar to RetailMeNot but may be better since you find the offers via a Google search instead of going to a partner site. While I was in grade school, I learned about money via Junior Achievement. In 2009, Skill Life has developed a game/web portal called Cents City. 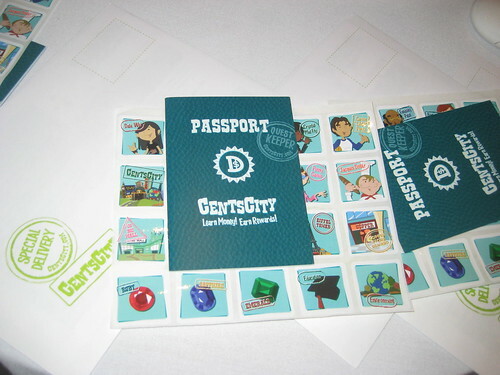 aims to teach kids about money with a fun interactive site where they can earn points and collect in a passport which can be used later for actual products.